From optical remote-sensing technology (lidar) to more traditional forms of landscape analysis and documentary research, this volume brings together the work of both amateur and professional historians and archaeologists, united in their enthusiasm for the landscape of northwest England and north-east Wales. This collection of research papers arose from the Chester Society for Landscape History’s 25th anniversary conference and includes a wealth of illustrations. The publication offers new insights into a wide range of features indicative of the region’s history between the twelfth and the twentieth centuries, including residential buildings, settlement patterns, the names and boundaries of fields, and the legacy of developments in transport and industrialisation:a collection of ‘landscape discoveries’ to be shared. This is a thoroughly enjoyable book which caused me to reflect on some of my own research and teaching, being extremely useful to both. It is a fine example of the sources and methods of landscape history with several of the contributors being graduates of Chester's MA in Landscape History. The work of these former students sits comfortably and naturally alongside those of the more established academic historians and archaeologists in this volume. Indeed, it is a great credit both to the Masters course and the Chester Society for Landscape History that work of this quality is being carried out and that knowledge and skills are so enthusiastically shared. 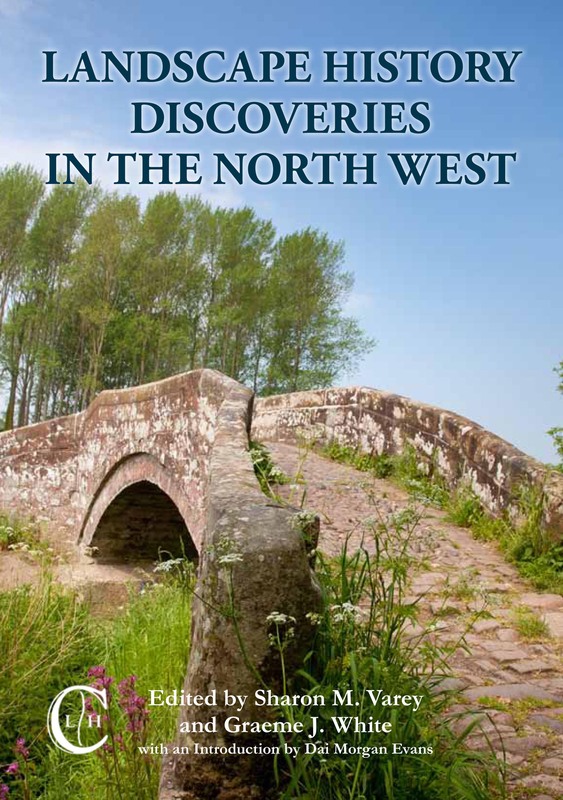 Taken as a whole, this attractively presented volume will prove valuable to scholars and students with research interests centred upon the North West and landscape history. The volume not only provides a stimulating insight into the range of investigative techniques that can be employed to understand complex landscapes, but also is an enlightening text emphasising the vital contribution of local societies and organisations to landscape studies. Anyone wanting to understand the diversity of approaches to landscape history should read this well-produced volume from the Chester Society for Landscape History (CSLH). The papers which form the content of the book were presented at the CSLH’s successful 25th anniversary conference in 2011. An illuminating introduction by Dai Morgan Evans (who co-chaired the conference with Graeme White) is followed by eight papers. A ninth chapter, ‘In brief’, contains four short contributions based on conference poster presentations. The book is well-illustrated in black and white and 12 colour plates ... As Dai Morgan Evans suggests in his introduction, all the papers demonstrate what he feels encapsulates the CSLH ‘knowledge seasoned with enthusiasm’. It is this fascination for the subject matter coupled with disciplined research that shines through and makes this volume so readable. We must hope that the CSLH will publish further volumes. Review of Landscape History Discoveries in the North West (edited by Sharon M. Varey and Graeme J. White), by William Price in Transactions of the Shropshire Archaeological and Historical Society, forthcoming. The writers have given us much food for thought from their studies of the county to our north (and adjacent parts of North Wales), and the editors are to be congratulated on providing such an attractive volume so speedily after the Conference. Ad multos annos to the Chester Society for Landscape History. Sharon M. Varey & Graeme J. White, Landscape History Discoveries in the North West, 2012, ISBN 978-1-908258-00-7, £12.99. The e-book (ISBN 978-1-908258-55-7) is currently available through Google Play, ebrary, EBL, EBSCO, Ebook Central, Gardners and Dawsonera.